New York, NY—March 7, 2018—Marvel Entertainment and comiXology, Amazon’s premier digital comic shopping & reading service, debut the next exclusive comiXology Originals digital comic series Avengers: Back to Basics, a 6-issue bi-weekly series written by Peter David with art by art by Brian Level on issues #1-2 and #5-6, Juanan Ramirez on issues #3-4, and covers by Nick Roche and Chris O’Halloran. 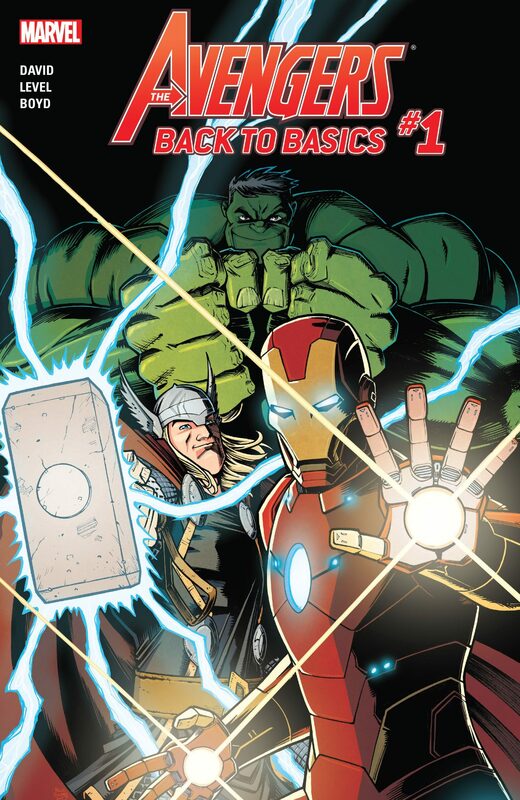 Avengers: Back toBasics #1 arrives March 7, 2018 for $2.99 on comiXology and Kindle as part of the comiXology Originals line of exclusive digital content and will be available to current subscribers of the popular comiXology Unlimited service. New subscribers to comiXology Unlimited can also enjoy it for free as part of their 30-day free trial. Avengers: Back to Basics joins Black Panther: Long Live The King, The Immortal Iron Fists and Thor Vs. Hulk: Champions of the Universe, with more exclusive Marvel series to be announced.